All ingredients we use is to bring wellness and health to our pets. You won't see artificial preservatives, colors, flavors, grain, gluten, soy or beet pulp in our recipes. Our foods are so natural that you will see each batch of food will have slight changes in color due to seasonal variability of our ingredients. We are really grateful to meet all the friends that raise and grow the finest meats, fruit and vegetables that make GHR pet food so special. We cherish our relationship with organic growers and farmers to support and encourage sustainable farming practices for generations to come. All carefully brought together with an exceptional amount of love. You can instantly smell the freshness of GHR pet food when you open up the bag. Each batch was carefully made with selective ingredients that bring the nutrition and supplement your pets will need. When switching to GHR pet food, simply mix increasing amounts of GHR pet food with decreasing amounts of the old food over a 7-day period. 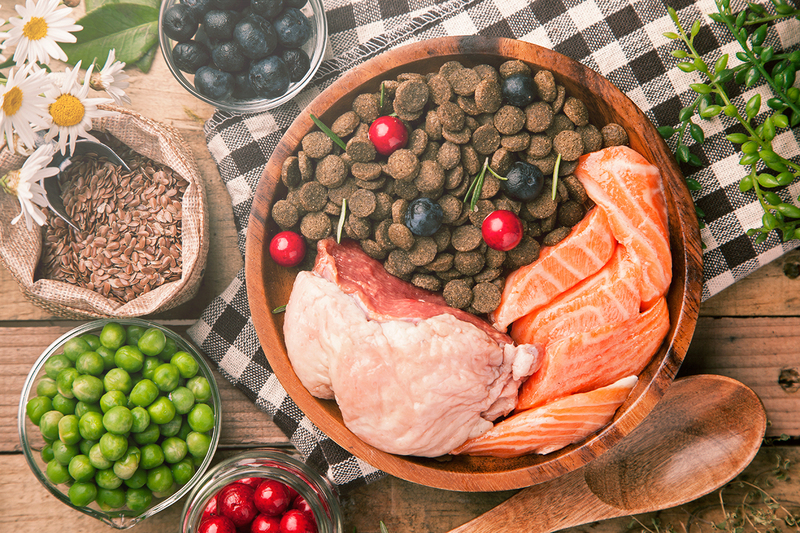 When supplementing with canned food, decrease the amount of dry food to avoid overfeeding.